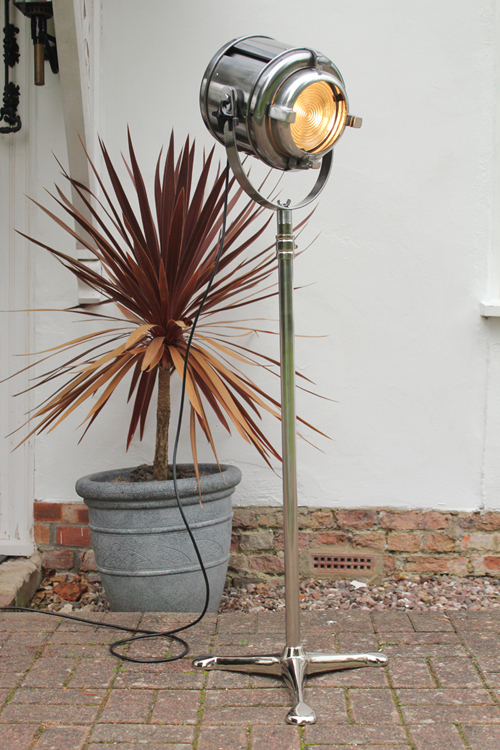 Restored Furse stage light, which has been polished, lacquered and rewired for domestic use. Long black PVC cable with in line dimmer. 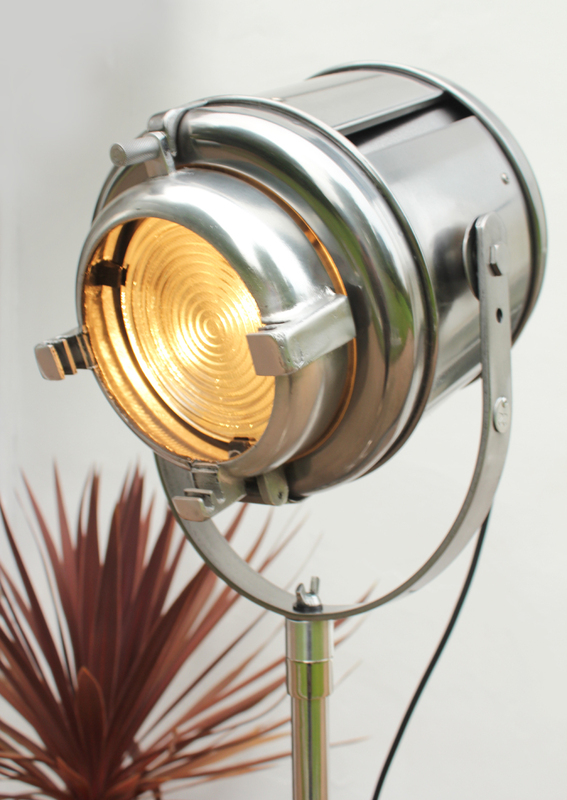 All original including back reflector, sliding focus and 150mm GEC Fresnel Lens. Supplied with a new Tri Base stand of stainless steel and aluminium.